Dj Strat3gy steps to the 1s & 2s delivering the inaugural set before her presents the DJing duo who hail from KZN, Lemon & Herb. 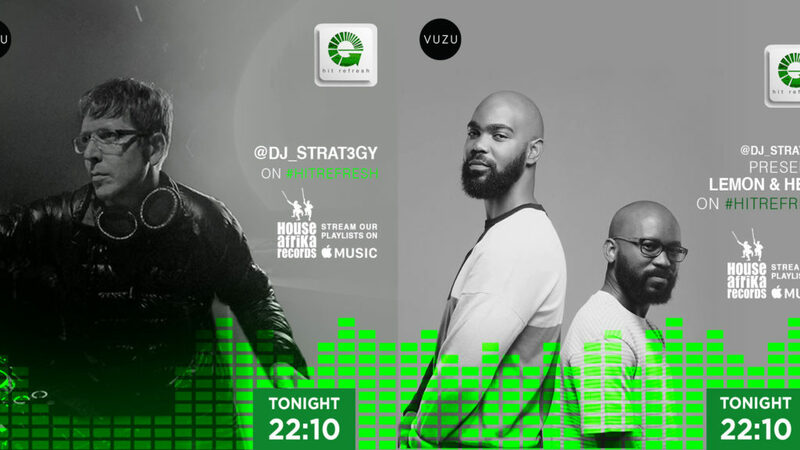 Tonight on Hit Refresh, Dj Strat3gy steps to the 1s & 2s delivering the inaugural set before her presents the DJing duo who hail from KZN, Lemon & Herb. The party gets started at 10pm on VuzuTV. Don’t miss out. Whether blasting out of shop store speakers, club rigs or taxis, AmaPiano certainly isn’t going anywhere – this disc just proves that point. The GOGO Music Radio Show – best in soulful and deep house music. 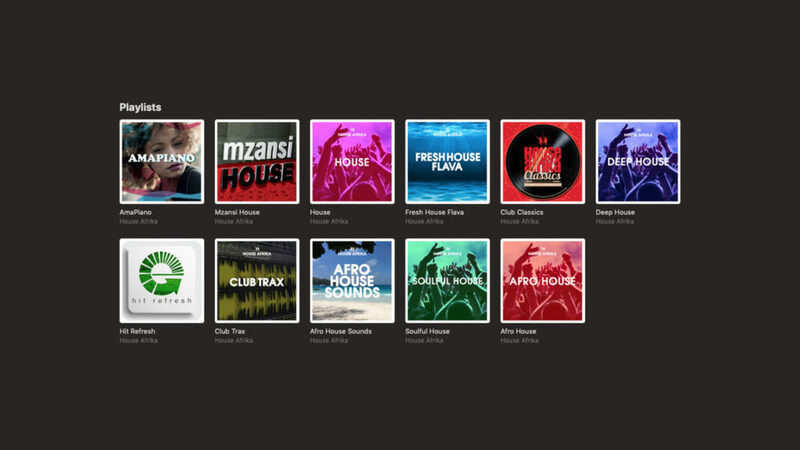 HOUSE AFRIKA PLAYLISTS ON APPLE MUSIC UPDATED EVERY FRIDAY. Dj Strat3gy presents a special, Amapiano event on Hit Refresh tonight! 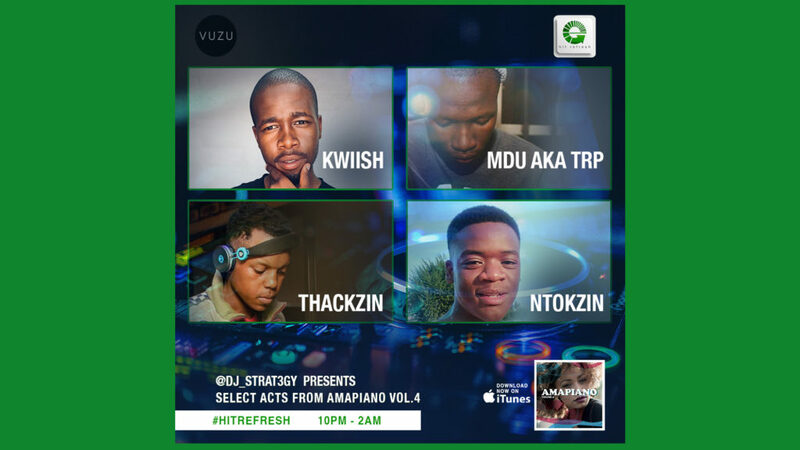 Featured are four, select acts from @House Afrika’s AmaPiano Vol.4 compilation. Evergreen Classics From The 20 Year Deep House Afrika Vaults. We dig 'Deep'. Showcasing the very latest releases and promo's that have landed in our record bags this week. Locked & Loaded - All the latest hits that are doing the business on the dance-floors, both locally and abroad. 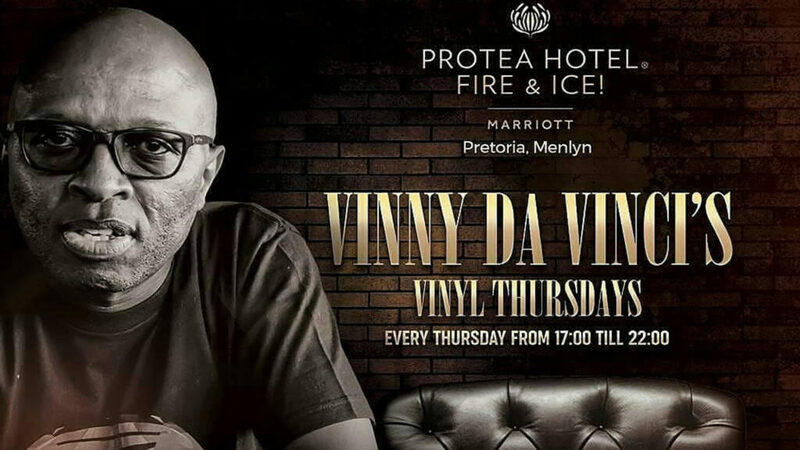 Hand picked and curated by Vinny Da Vinci, Tim White & DJ Strat3gy. 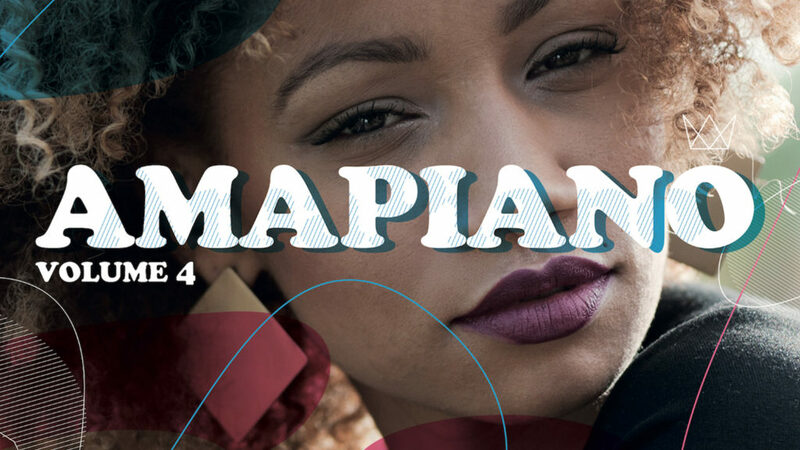 Mzansi House is an essential study of the deep South’s best dance sounds. 100% home brewed South Africa House Music. 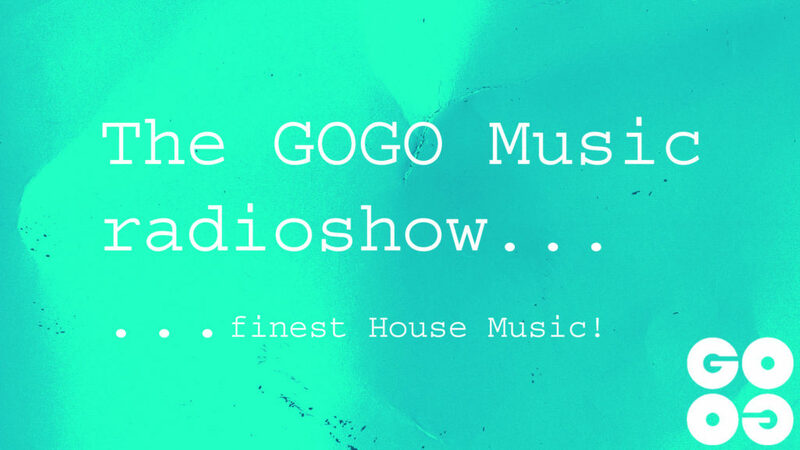 The GOGO Music Radio Show - our mission is simply to bring you some of the best in soulful and deep house music. GOGO Music was established in 2001 by Ralf GUM to offer a platform for innovative releases. While Ralf’s heart is set on soulful deep house, GOGO Music stands for varied and intelligent club music. Its choice releases made GOGO Music one of the most looked after record labels in the house scene. In the weekly GOGO Music radio-show Ralf GUM, MAQman and Sir LSG are presenting what this sound is all about ... finest house music only! @dj_Strat3gy blends the underground grooves of the African streets with future tech visions, enhanced by Don’t Look Down, the prolific convergence agency he founded; and refined by the unremitting quality demands of House Afrika Records, the seminal SA label he is a partner in. 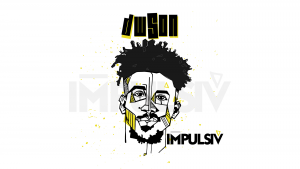 He’s repped Mzansi internationally from Bali to São Paulo, with notable appearances at the Miami Winter Music Conference, Amsterdam Dance Event, and Black Coffee’s Hï Ibiza residency. History may one day reflect that he created the world’s first live social TV DJ residency, debuting in 2004 as GoChat for a potentially world record-setting and as yet unbroken, 14 year on-air run in a relentless media evolution, ultimately rendering today’s Africa-wide Hit Refresh broadcasts on VuzuTV - spinning off multiple TV DJ mix hits including Bassment, O-Boma and Vinny’s House along the way. 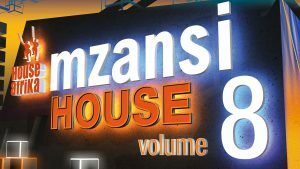 He has contributed mixes to House Afrika Grooves compilations with Bristol’s Peng and Chicago’s Large Recordings, shared mixing duties with the mighty Tim White for a Hit Refresh release, before uniting with remaining label partner, Vinny Da Vinci, to see individual mixes combinesd for release as House Afrika Sessions 8. @dj_Strat3gy also co-created and executive produced Black Coffee's Africa Rising events and SAMA-winning, platinum-selling CD and DVD releases. A veteran selector with more than two decades behind the mixer, he combines an adventurous taste for the future, with a keen awareness for musical roots, evidenced by regular pilgrimages to specific House and Techno cultures in New York, Detroit and Berlin. 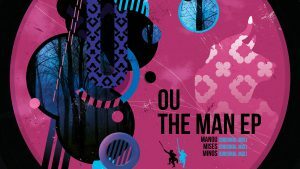 His disregard for imposed boundaries of sound has ignored the criticism of purists to develop a defiant personal performance range, which has delivered notable appearances, spanning from Louie Vega to Dixon and Ame, and stretching from Monolake to Richie Hawtin. He has recently been exploring cross genre collaborations with a diversity of artists, including long-standing Johnny Clegg drummer, Barry van Zyl; Freshly Ground bassist, Josh Hawkes; and multi-instrumentalist Brendan Jury - in a style first explored with EVI master, Bruce Cassidy of Blood, Sweat and Tears fame. A unique vision of consistently deep, relevant grooves. We cherish the global heritage of House and break the new sounds Afrika is moving to. Est. JHB, 1996.